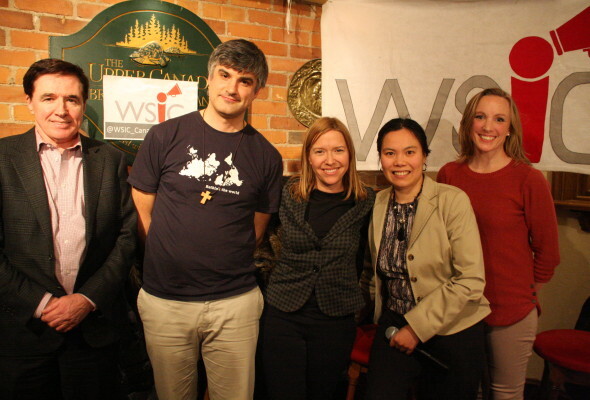 WSIC teamed up with the Toronto Branch of the Canadian International Council for our February event on the State of International Development. With a new government in Ottawa and a more NGO friendly climate, WSIC and CIC looked at what’s next for Canadian NGOs. Luke Stocking, the Central Ontario Animator for Development and Peace, Melissa Matlow, Legislative and Public Affairs Manager at World Animal Protection, and Nikki Whaites, Deputy Director of International Programs for War Child Canada joined the panel.